It’s a dog’s world. Join in the first social media network for your dog, because they deserve it. A free and entertaining app, Pup Smooch will allow you to share with the world what you already know that your dog is the best dog. 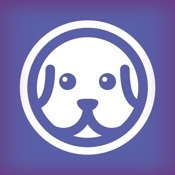 Users can create profiles for their dogs showcasing their pup’s personality. Each dog will have his/her own profile page which will include a profile picture, breed, age, siblings (and their profiles) a description of your dog’s personality and a gallery of pictures you upload. Add stickers to your dog’s picture, or tags or all sorts of other fun add-ons. 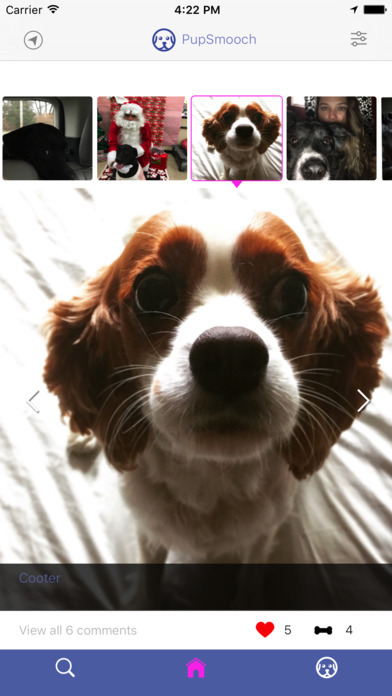 Swipe (left- good dog, right -good dog... because they are all good dogs) allows users to view other dogs at random or use filters to view only the dogs you choose. Interested in Boston Terrier puppies within a 20 mile radius? No problem. Want to see all the dogs with a birthday that day? Who doesn’t. Pup Smooch photo galleries not only appear based upon your filters and hashtags, but every day a new pup will be crowned dog of the day. Dog of the day, dog of the week, dog of the month, dog of the year. It could be your good boy. Guest users are allowed to peruse all the Pup Smooch dogs in addition to any dog that is looking for a forever home. Shelters and rescue organizations have dedicated pages that will allow them to create profiles for all their adoptable dogs just like your dog. Every dog up for adoption has a special “adopt me” tag and is part of the Pup Smooch family. Users looking to adopt will be able to employ the same age, breed, location filters to easily find their perfect pup family member. Pup Smooch is all about your dog. Your family member, best friend, loyal companion, and the best - funniest - sweetest - most loving part of your day. Pup Smooch believes all dogs matter: Your dog, Shelter dogs, All dogs and we want to celebrate and save them together with you!